Harper Ford Carousel 4800 Hwy. 101 N, 2 mi. N of town, (877) 285-6677, (707) 443-7311. Daily noon-4pm. Free. Amazingly, a classic 1947 Allan Herschell wood carousel has operated at this car dealership since 1992! Any dullness resulting from its exposure to the elements is periodically spiffed up with automobile paint, leading to some horses in unusual colors. Of the 30 horses, 15 are original wood ones and 15 are replacements in aluminum. Each has its own theme and name. One of the oldest Ford dealerships in the United States, Harper Ford was established in 1912 by Harvey Harper's father, Harvey Mitchell Harper, who arrived in Eureka from Phoenix, Arizona, after a 40-day journey in a 1912 Ford Model T.
Lost Coast Brewery & Cafe 617 4th St., in Old Town, (707) 445-4480. L-D daily; $. Reservations accepted. Situated within a historic building, this is the first brewery in the U.S. founded and operated by women. The actual brewing production has moved to a new dedicated facility south of town, where you can take a tour. Among the several kinds of handcrafted microbrews, the hands-down favorites are Great White beer (features the flavors of wheat and coriander and is their best seller) and Downtown Brown ale, but Indian Pale Ale isn’t far behind and was my favorite. And don’t overlook the house-made root beer. Roast beef and turkey is baked in-house, and french fries are made from scratch with fresh potatoes. The menu’s extensive pub fare goes well with a pint. Burgers are the best sellers, but the delicious locally-caught halibut and chips is close behind. More options include French dip and pulled pork sandwiches, coconut prawns, stuffed Navajo bread, Tuscany pizza, and a build-your-own pizza. Happy Hour runs Monday through Friday from 4 to 6 p.m. and is the perfect time to try the nachos or the big baked pretzel--solo or stuffed with cheese. Lost Coast Brew House 1600 Sunset Ave., 2 mi. SW of town, (707) 445-4484. Free. This small regional brewery is of one of the nation's largest microbrews and now has a sleek new brewing production facility. The company’s brews were made for the first three years in the pub cafe, then in a warehouse for 22 more years. Tours here are usually led by owner Barbara Groom, a former pharmacist. You’ll learn about how yeast eats sugar and makes gas, and about malt and green leaves and sun and how it all turns into beer. You’ll smell the fragrances, see the various grains, and stagger your mind with the fact that 40 types of yeast are used to give the beer different flavors. If you’re lucky, you might get to step inside the 20-degree hop freezer—a particularly refreshing experience on a warm day. Throughout you’ll see shiny stainless steel pipes, concrete floors, and equipment from an array of international companies—Germany (tanks with colorful blue trim), Mexico (a grain grinder with a dryer motor used to grind coriander for Great White), and America (a fascinating bottling machine). Try to schedule a weekday tour because that is when everything is happening, and you can see the bottles filled, capped, and packed in boxes. The bottler pops out 440 per minute, and though bottles are king, cans are coming due to demand for use at the beach and around pools. At the tour’s conclusion, you’ll get to do some tasting in the Tap Room, where lovely recycled counters from a 100-year-old Monterey cypress tree enhance the decor (that tree was also used for trim throughout the building). Ice cream is available from Humboldt Creamery (expelled grain from their company is used in beer making here). Don’t miss viewing the concrete restroom counter made with recycled chipped beer bottles and molded to look like a beer bottle. Picnicking is welcome. Humboldt Bay Naval Sea/Air Museum Commercial Street Dock, Waterfront Dr., just a few miles from Old Town waterfront, (707) 442-9333. F & Sun 9am-3pm, & any other time the flag is up and the coffee pot is on. By donation. Out on this area’s scenic waterfront, past some rusted train cars that are covered in an attractive way with graffiti, a World War II Landing Craft is now moored to the pier and operates as a floating museum. Though 1,098 were built during World War II--this one being #1091--only two remain. This 158-foot-long vessel is the last operational LCI (#713 is in Portland, Oregon, and has no engines). Used in Okinawa in the last invasion of the Pacific War, she looks similar to when she was in combat more than 50 years ago. The craft served again in the Korean War as an epidemic control vessel, but was in actuality a spy ship. In 1960 she became a processing ship for an Alaska fish company, and then was purchased by Dr. Ralph Davis in Everett, Washington, and sailed here in 1989 to be used for albacore fishing. In 2006, when fuel became too expensive, Dr. Davis donated the ship to the museum. "Ten Ninety-One" (civilian name) was built in 1944 in the De Bois Shipyards in Bay City, Michigan. In the war she sailed in flotillas of LCIs, each carrying 200 soldiers and their gear that they delivered to enemy beaches via a ramp. The LCIs were built in small shipyards because bigger ones were occupied constructing Liberty ships. You can get an impromptu tour of the craft and see the galley, berths, and heads. Museum volunteers continue to work on restoring #1091 to her original state. An additional viewing bonus is the 36-foot Flemish life boat that bobs adjacent. These boats were designed so anyone can operate them. Only three are left and this museum has them all. Fun fund-raisers are scheduled periodically, including pancake breakfasts, events on military holidays, and a Haunted Ship at Halloween. Drop by to hear the rest of the story and chew the fat with some old salts. Rosie the Riveter/World War II Home Front National Historical Park. 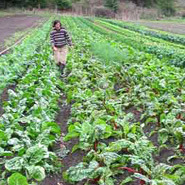 Green Gulch Farm 1601 Shoreline Hwy., just S of town, (415) 383-3134. Guest House: 12 rooms, 1 cottage; $-$$. No TVs; all shared baths. Vegetarian meals included. Reached via a sharp downhill turnoff, this retreat is operated by the San Francisco Zen Center. Public meditation programs are scheduled daily, and a longer program on Sundays includes a dharma talk. Retreats, workshops, and children’s programs are also scheduled, as is a fairly regular Sunday Tea Gathering where you can the traditional Japanese tradition of whisked green tea. Visitors are welcome to take informal afternoon walks in the organic garden, which supplies the herbs and vegetables for Greens restaurant in San Francisco. Plants are available for purchase from the nursery. Overnight lodging is available in the peaceful, Japanese-style Lindisfarne Guest House, which is constructed without nails. A separate cottage is available for families with children, and guests may take their meals at communal tables with the permanent residents. Benbow Historic Inn Off Hwy. 101, 445 Lake Benbow Dr., (800) 355-3301, (707) 923-2124. 55 rooms; $129-$569+. Some TVs & wood-burning fireplaces. Afternoon tea at 3; restaurant; bar. Pool & hot tub nearby (May-Oct). Pets ok in some rooms. Opened in 1926, this magnificent English Tudor inn is on the National Register of Historic Places. Guest rooms are furnished with antiques and equipped with a basket of mystery novels and a carafe of sherry. Some have lake views and private patios. The inn was once quite popular with the Hollywood elite--think Spencer Tracy, Clark Gable, and Joan Fontaine--and actor Charles Laughton found it quiet enough here to memorize his lines for Mutiny on the Bounty. A majestic communal lounge with fireplace and library invites socializing, and game tables are set with chessboards and jigsaw puzzles. This spot enjoys perfect summer temperatures. Outside pleasures that make the most of it include colorful English gardens with grassy expanses, a small private beach on the east branch of the Eel River, lawn games, and complimentary use of bicycles. A 9-hole golf course and heated swimming pool plus hot tub are within walking distance. Facilities there also include a playground, putting green, laundry room, and pet run. Complimentary tea and scones is served each afternoon at 3 p.m. during check-in. Special events are often scheduled, and holiday festivities occur throughout December. and pan-seared organic king salmon. and we ended with house-made chocolate truffles. and my husband a simple country breakfast with chicken-apple sausage. In fair weather, diners may sit outdoors on a large terrace overlooking the back lawn and river, and live entertainment is scheduled on most mid-week summer evenings. Additionally, a cozy taproom bar dispenses good cheer, and guests can order picnic lunches to go. And from here it is just a few minutes to the magnificent redwoods of the Avenue of the Giants.